The Salon 6000 features six more pounds of carbon than our Salon 5000 model to provide superior filtration capacity for the chemicals, odors, gases and particles associated with nail salon products. 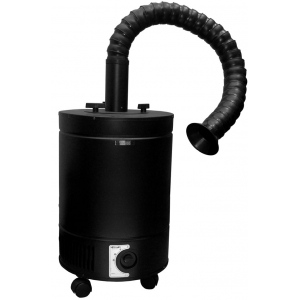 The Salon 6000 is a source capture unit that provides clean air, in an otherwise toxic environment that can be dangerous for both nail salon patrons and employees. * Surface Area of HEPA Media: 6416 sq. in. * Operating Weight: 56 lbs.